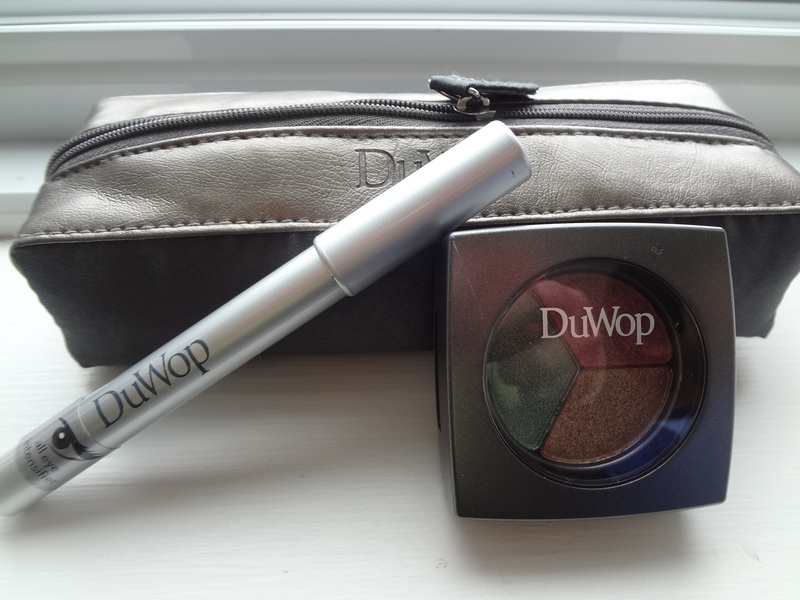 Have you heard of DuWop beauty products, lovelies? This is a drugstore products which I found out just recently. I’m surprised with my new find and thrilled to see how it fairs.This bag was retailed for $40.00 which was on a pretty steep side for a drugstore brand in my opinion. But lucky for me, I got them with my drugstore points savings and it costs a little cheaper. Anyways, I’m just going to find out why it costs so much from the beginning. DuWop bag comes in a soft PU leather material. A very nice icon of DuWop imprinted on the material. 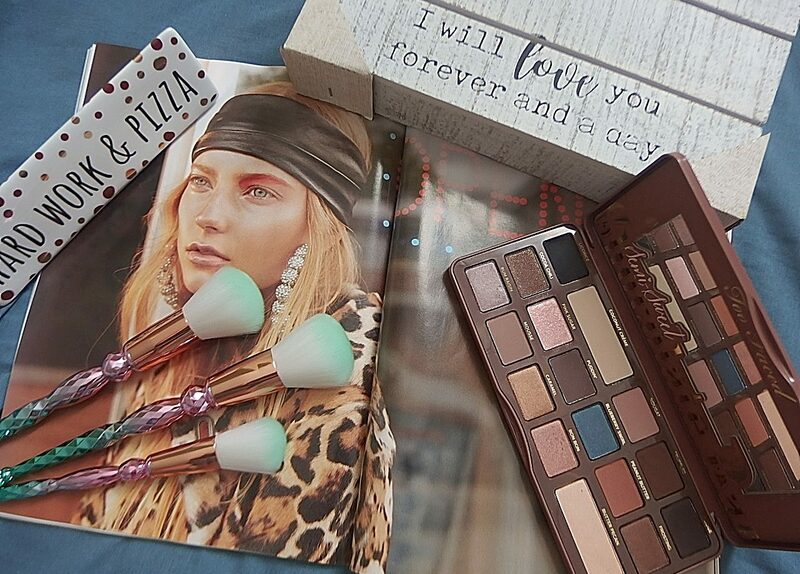 Inside the bag are an eyecatcher pencil and a Crush eyeshadow pot. The packaging of each product looks simple but elegant much of a high-end brand to me. 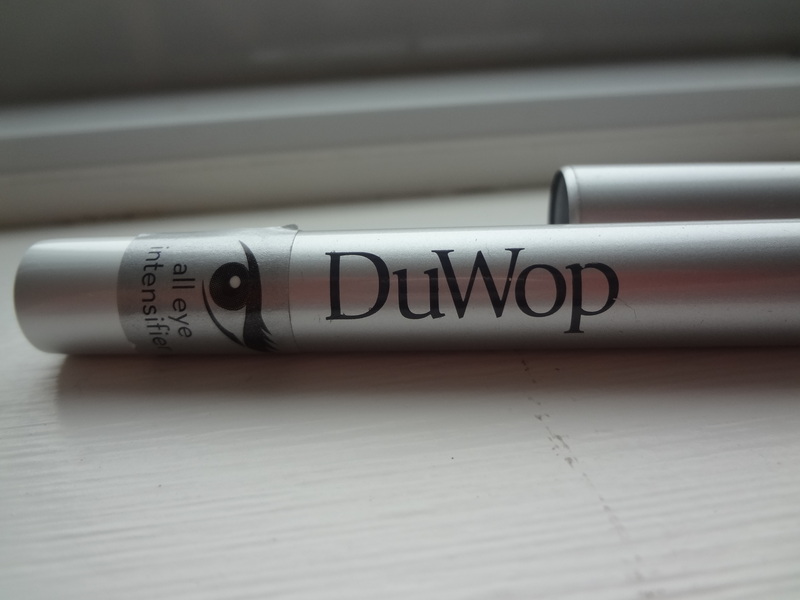 DuWop Eyecatcher pencil in the Blackest velvety black for all eyes color.Net wt: 3.0g selling for $18.50. It comes in four different shades for blue, green and brown eyes. The one I picked up is the blackest velvety black. This formula is completely smudge free and is water resistant. I’ve tried it and love how easy it go as I draw it on my waterline. Perfect for normal liner look and for winged eye design. This is a lovely shade of trio metallic talc-free shadow that makes my heart skip a beat. The formula is dense enough to use it as a liner. It compliment any skin tone beautifully. 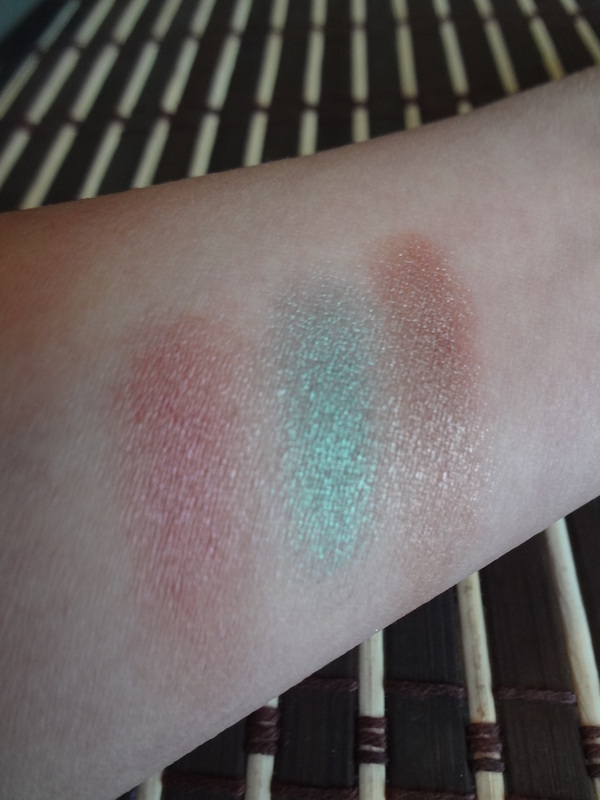 What I love about this shadow is the rich pigment and intense payoff. It’s creamy and glide effortlessly upon application. 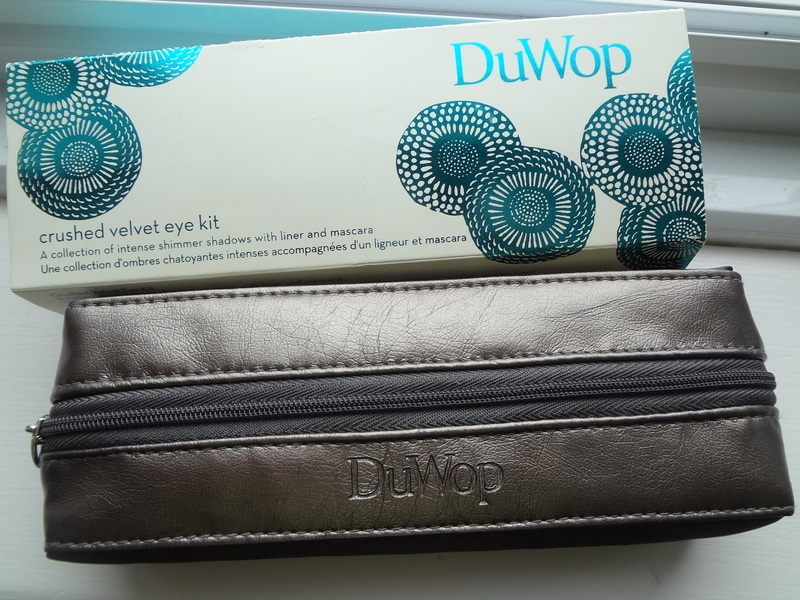 This is my first love with DuWop product and I know for sure that I will definitely check out more when I’m at a drugstore or their online store. They ship to the States and Canada. 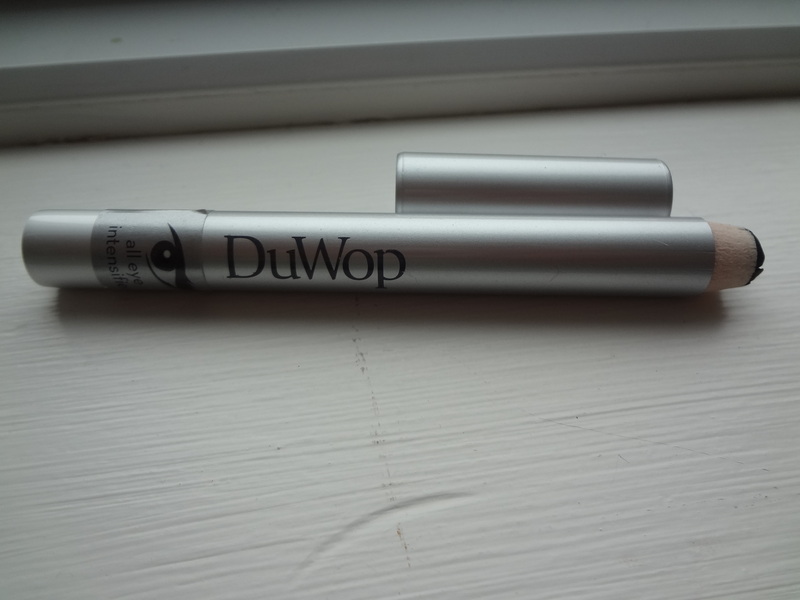 What do you think of this DuWop makeup product? Please comment below. Next postWordless Wednesday| A Beautiful Day!